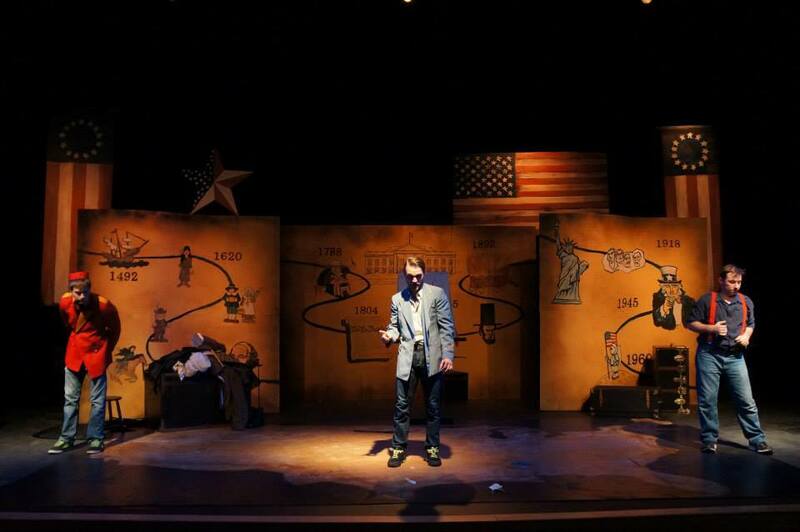 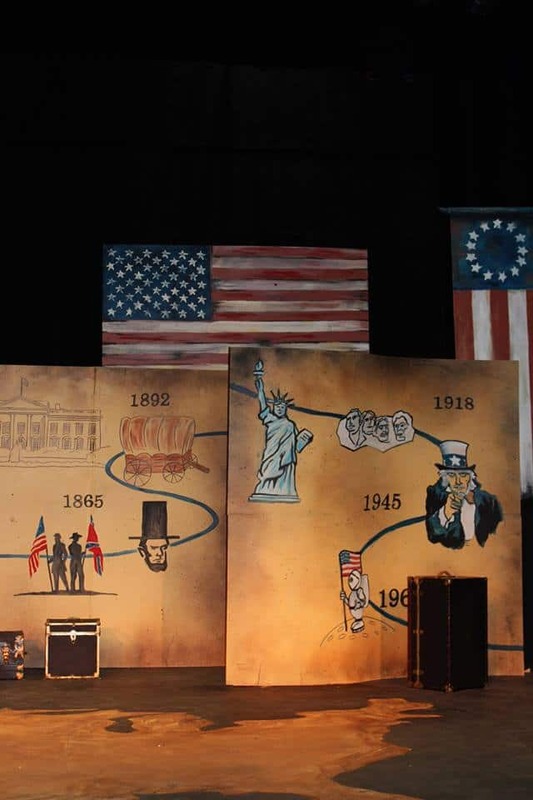 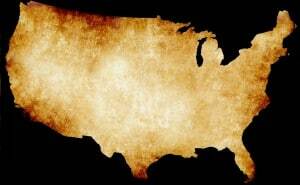 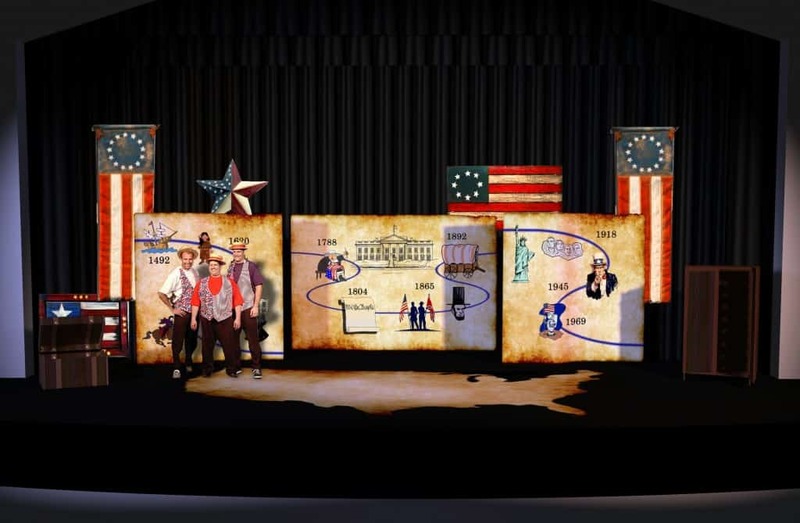 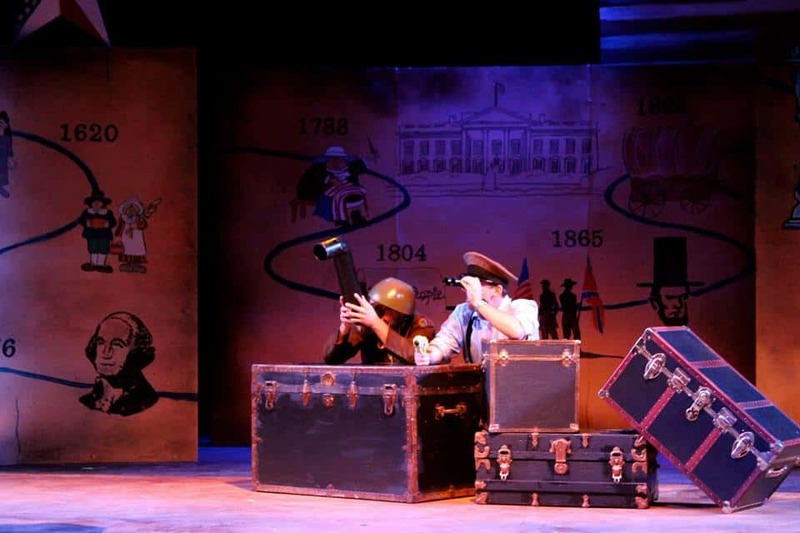 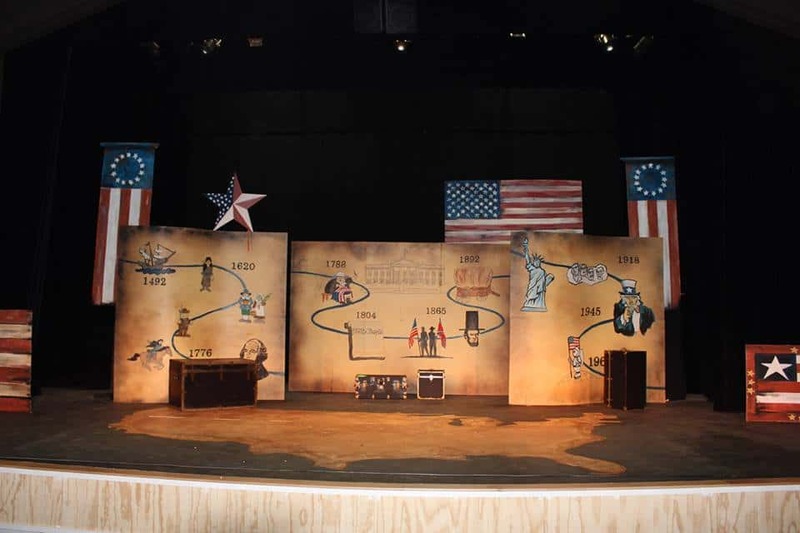 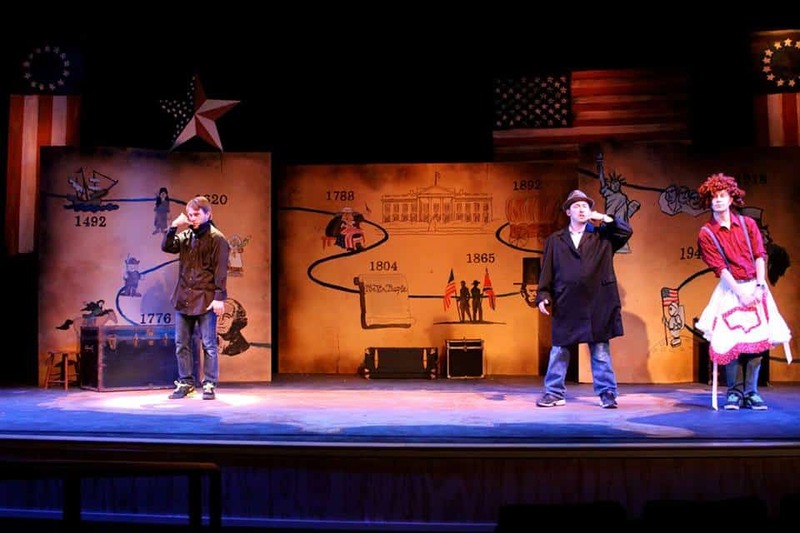 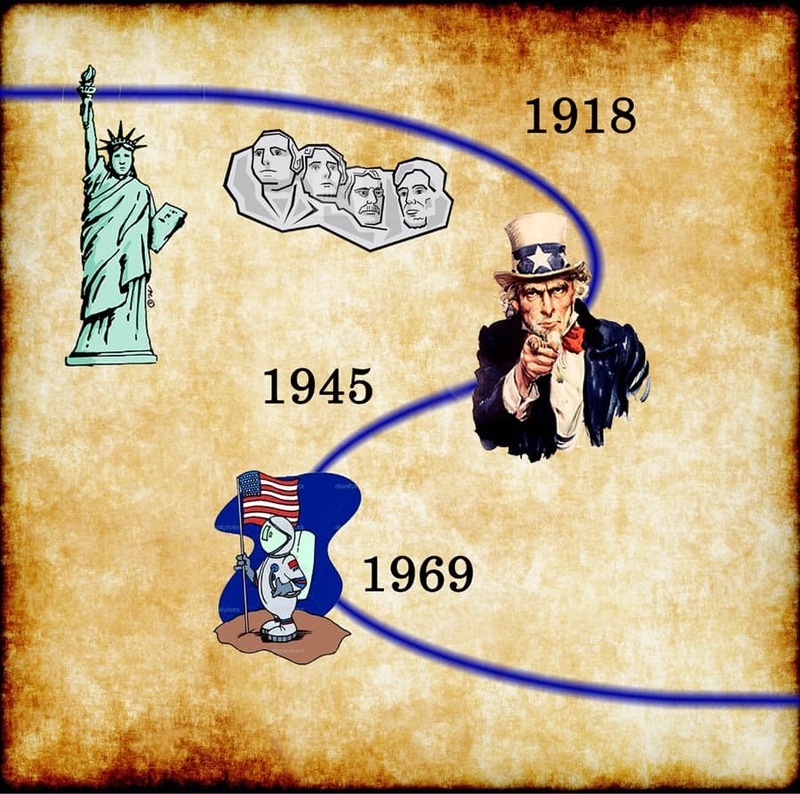 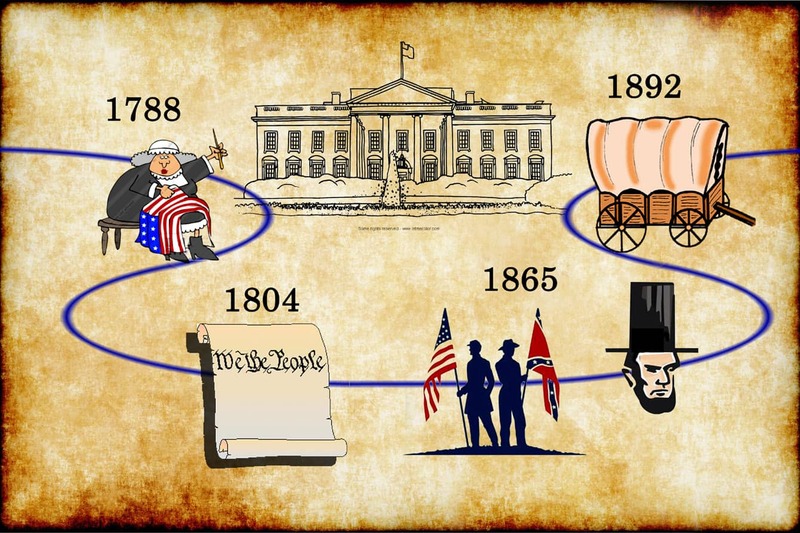 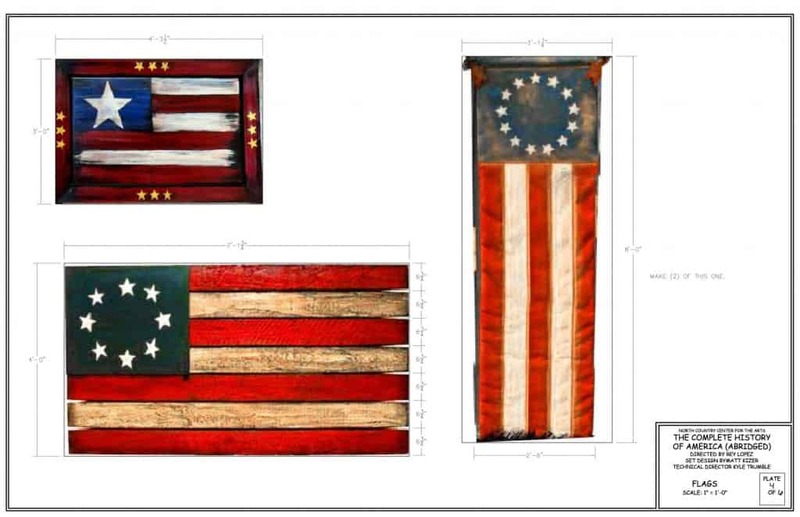 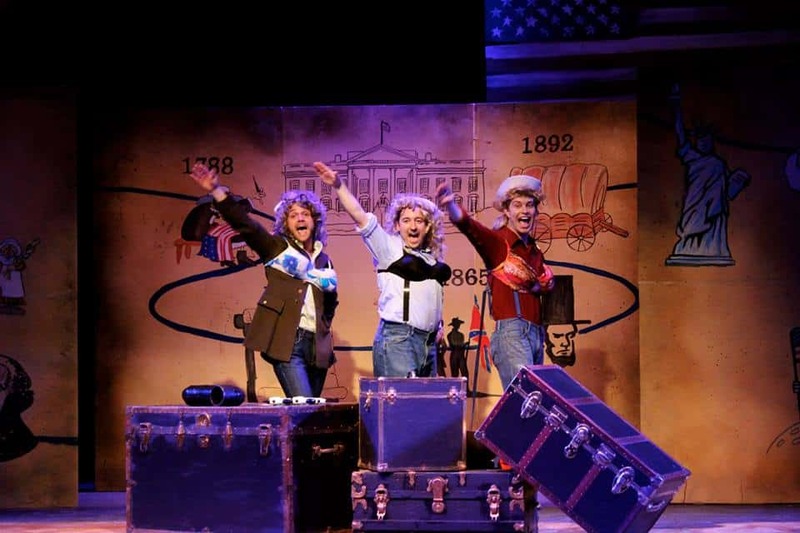 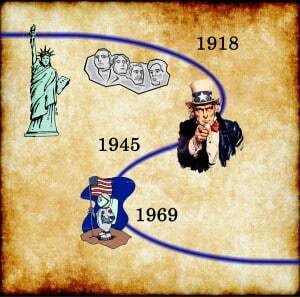 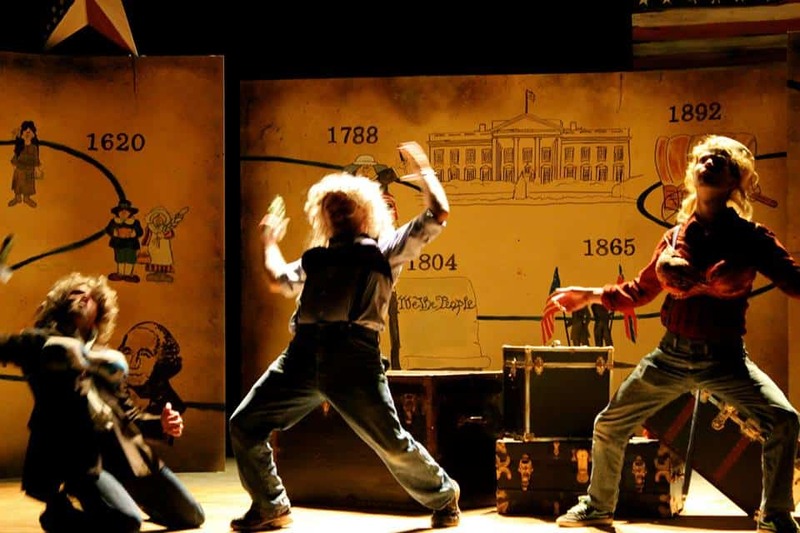 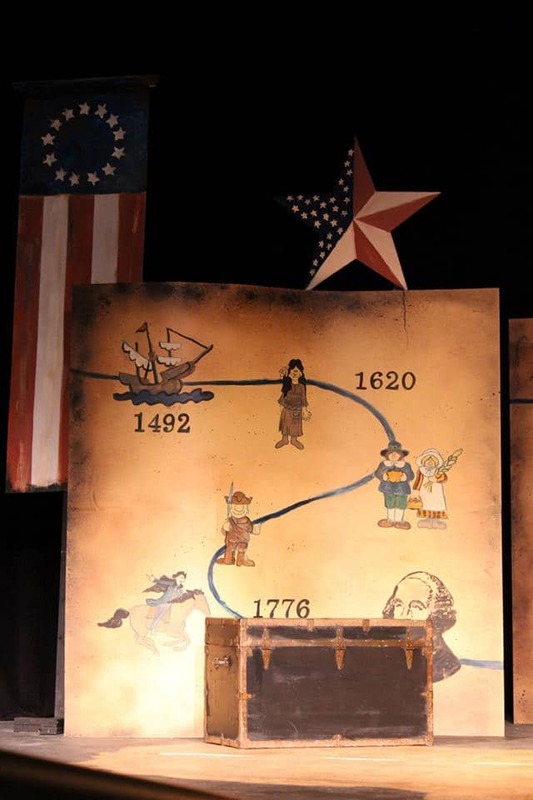 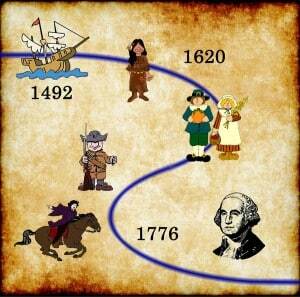 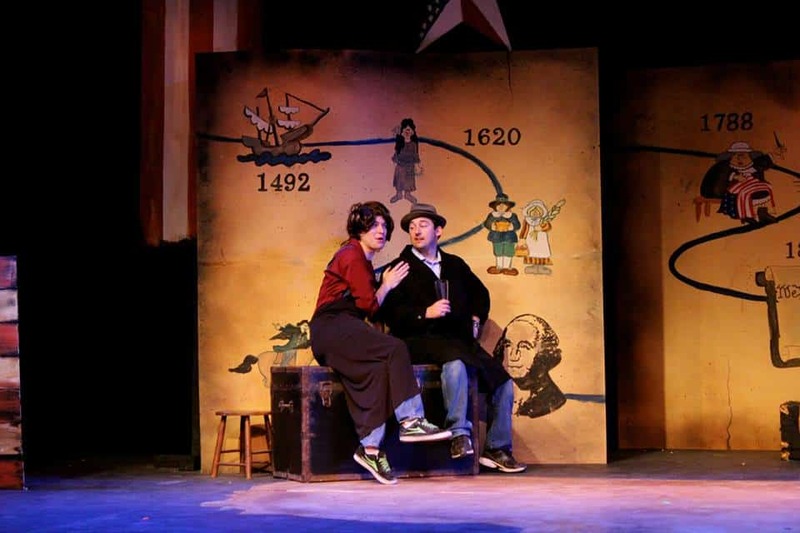 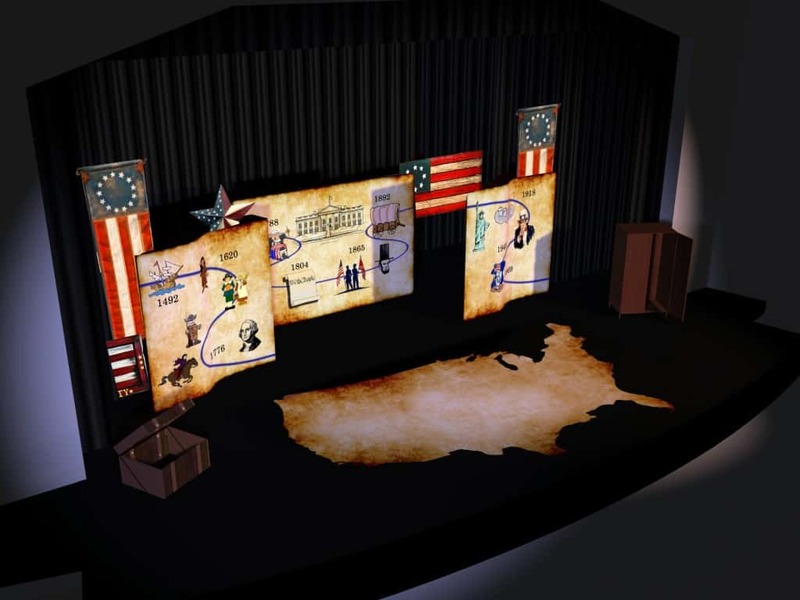 The playwright asks for a timeline of the history of the United States on the stage. 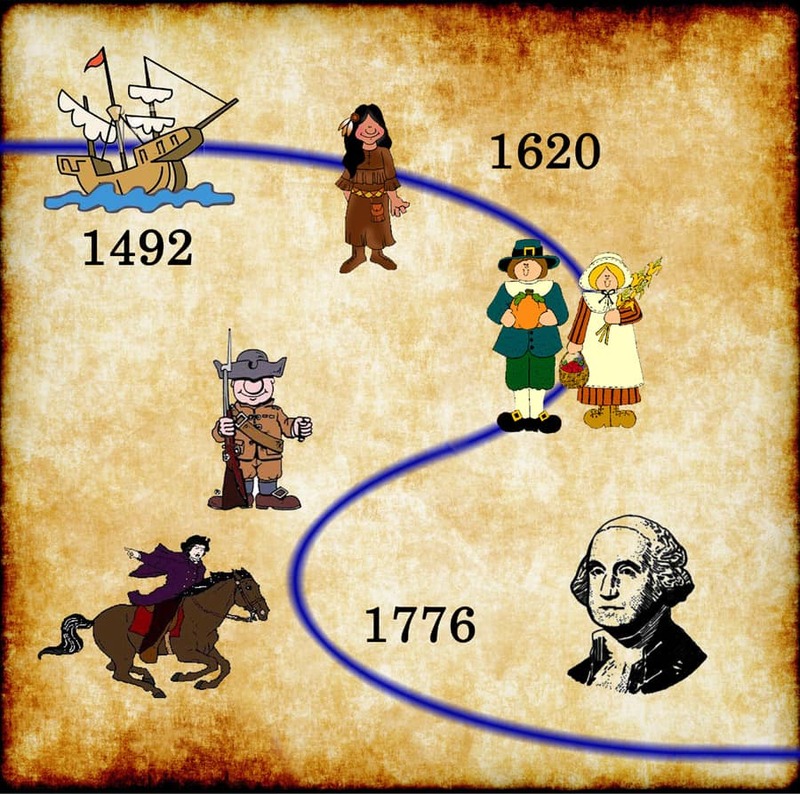 Here, the timeline has been broken up to allow entrances through it. 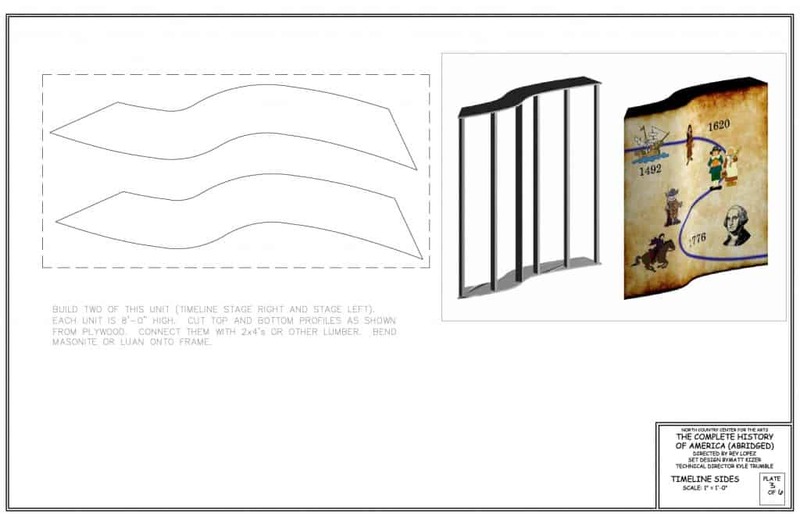 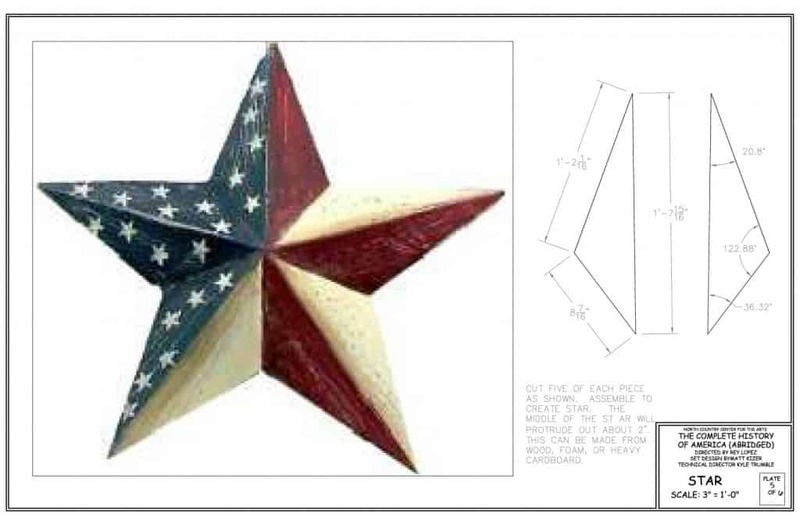 Below you can see that I have maintained some of the curves from the original concept. 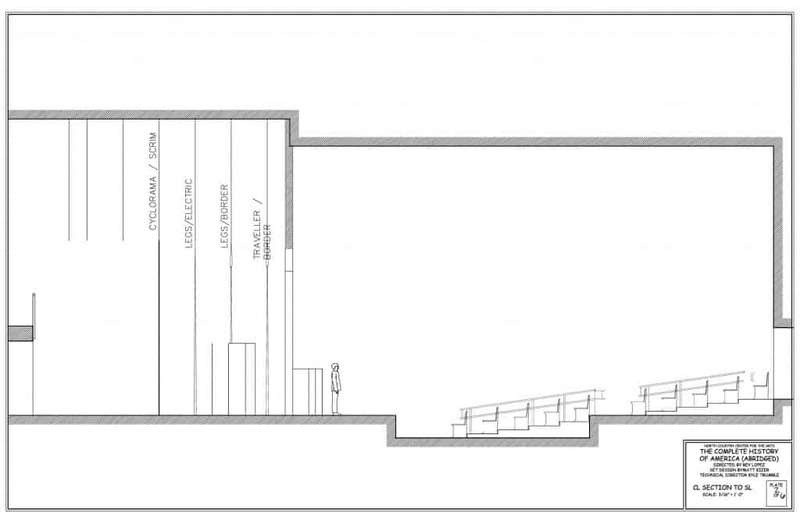 This was a little more interesting to look at, makes this a little slicker, and was not difficult to execute. 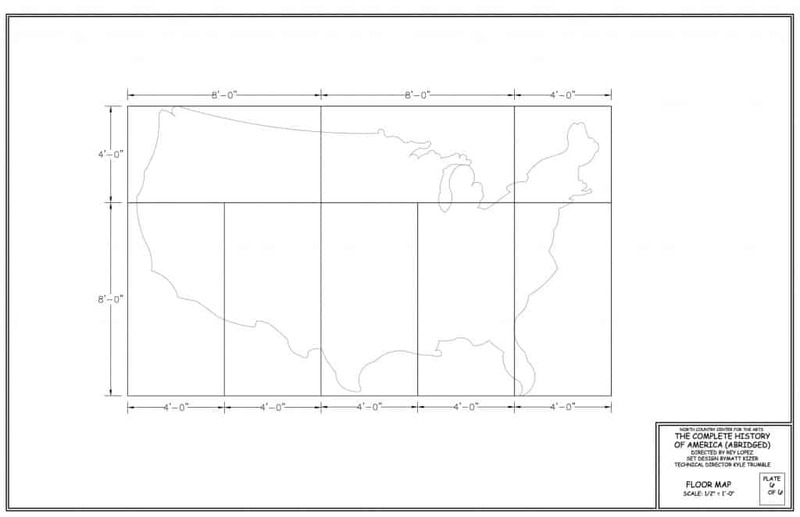 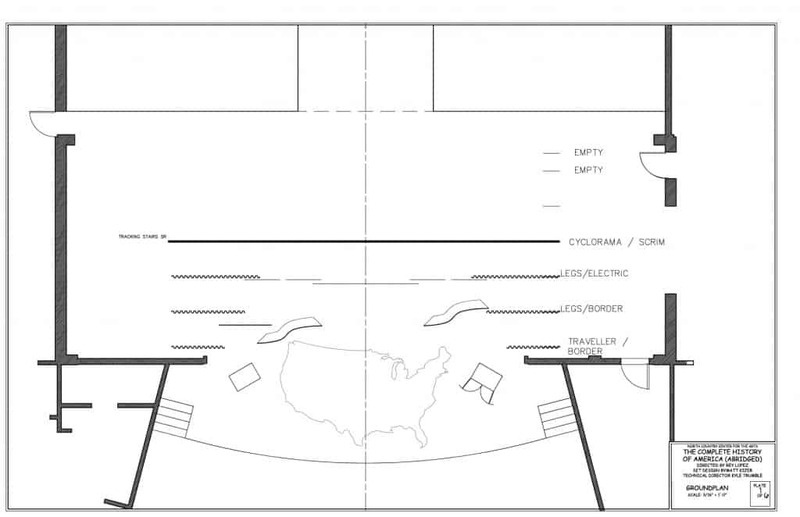 The map on the floor was a 12′ x 20′ rectangle of luan, painted with that map and a flat-black background. 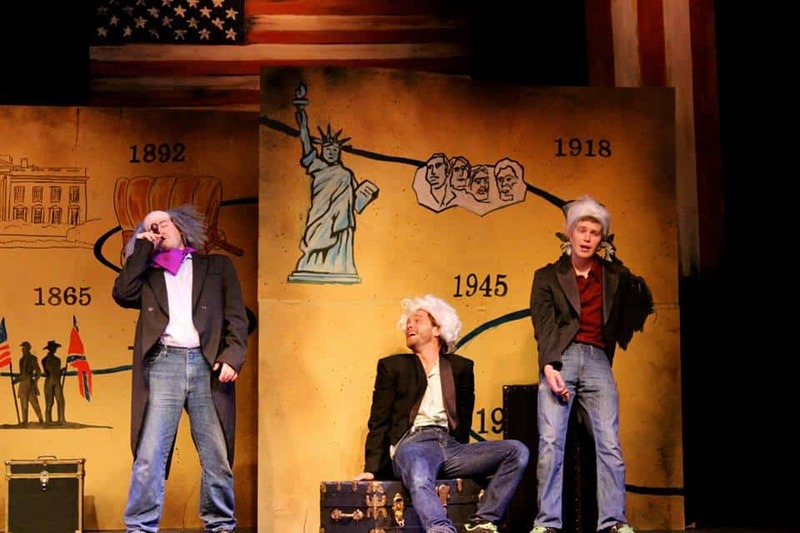 This allowed quick changeover between this show and Musical of Musicals, which ran in rep with this.